The PP502 is, in Wegner’s own words, “for the boss who will appreciate being able to sit correctly in a chair.” This meticulously crafted masterpiece is uniquely focused on function as much as form. Wood from hundred and fifty plus year old felled trees, makes up the backrest. Joints and base, soldered with silver. 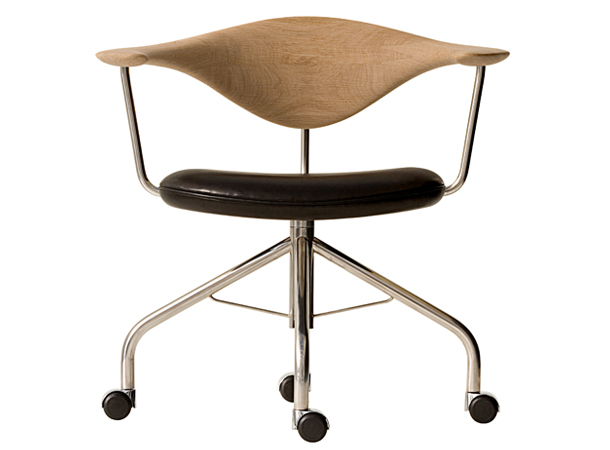 Wegner’s creation of the Swivel Chair, is to date, his most famous example of ergonomics paired with aesthetics. The Office Desk is sleek, geometric, and cinematic. Designed in 1959 by female architect, Bodil Kjær, this cutting edge design was an instant hit and even featured in the James Bond films of the time. 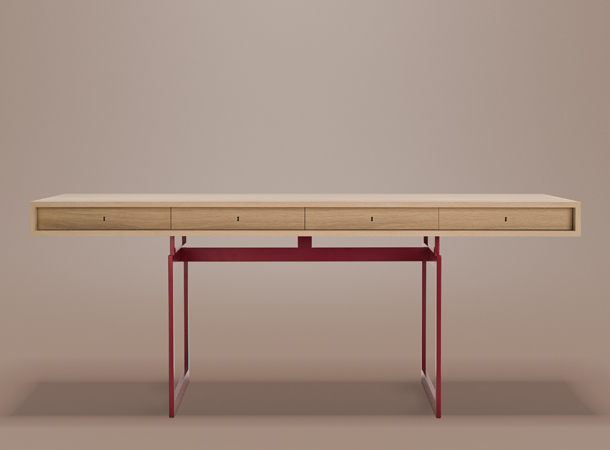 In line with Kjær’s commitment to functionality, the four locking drawers offer ample storage space, while the slim metal legs and clean lines give this piece a visual lightness. 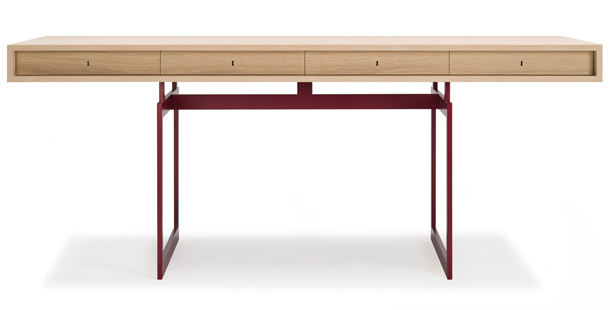 The sizable work area of this solid oak desk make it ideal for a corporate environment or home office alike. 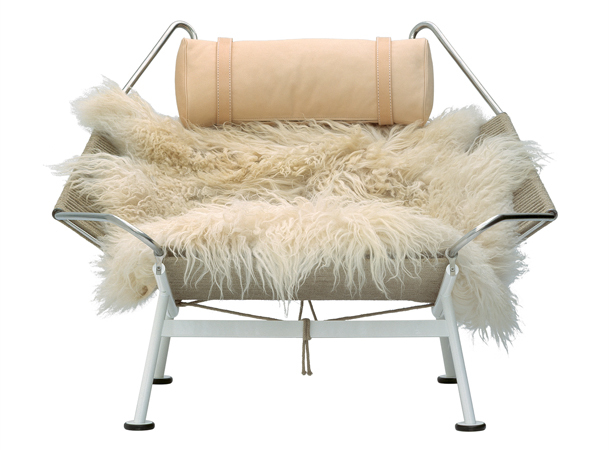 As rest fuels productivity, an adequate lounge chair is an essential piece to the work process. Inspired on a summer day, Wegner’s Flag Halyard was crafted after digging a hollow sand seat by the water. A tribute to the early modernists, the PP225 is framed in stainless steel, 240 meters of specially developed flag line forming the seat and back, featuring a long-haired sheepskin cover to soften the industrial nature of the chair. Crafted to offer the ultimate luxurious relaxation, the Flag Halyard is available in natural flax or dyed black halyard. Joe Colombo’s experimentation with shape and material gave way to the Domo. A leap from straight lines and sharp corners, Colombo’s Domo features softer, rounder shapes. 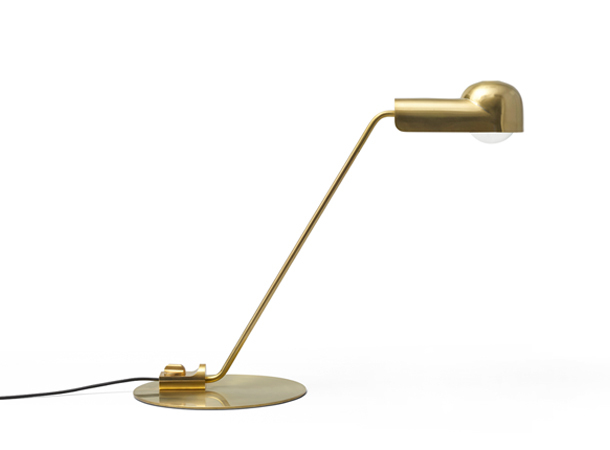 This table lamp is a sophisticated piece with a simple aesthetic. Aiming to do more than just provide light, the Domo is the perfect way to add a touch of character to any space. 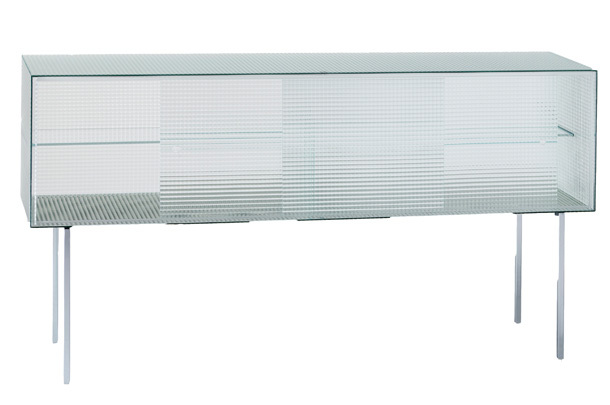 Available as a floor and wall lamp. The Commodore, a beautiful piece on its own, works double duty in an office space by disguising your files and binders behind its beautiful textured panels. Featuring a sliding door mechanism manipulated by small circular openings, the lack of handles gives the structure a clean, modern look. Designed by Glas Italia’s creative director, Piero Lissoni, the Commodore is named for its function as a storage commode, with a nod towards Lissoni’s position as design “captain.” Available in two different sizes. Channeled or checked glass.